We all know at least a few of them. Those of you who have blogs simply have to scroll down to the bottom of your blogrolls to see who hasn't posted in the last six months, nine months, or longer. Some bloggers will vanish without a trace, leaving us wondering if it was something we said -- or didn't say. Now I certainly recognize that sometimes our lives' priorities change. Family crises crop up. We lose our jobs -- or suddenly get one. We have babies. We get hit by falling pianos. Regardless of the circumstances, we can no longer continue blogging. I understand. Many bloggers tell their readers beforehand that they'll be taking a break, a courtesy greatly appreciated in this age of fleeting, virtual relationships. Thank you, Lisette. Thank you, Susan. Today I thought I'd pay tribute to some of the lost bloggers I miss most, and perhaps you do too. Many of you remember Rachel from A Sewn Wardrobe. Rachel started sewing around the same time I did, which immediately created a bond between us. I fear that once Rachel so brilliantly recovered her vintage sofa, there were no more mountains to climb. Won't you please join hands and call out along with me: Earth to Rachel! 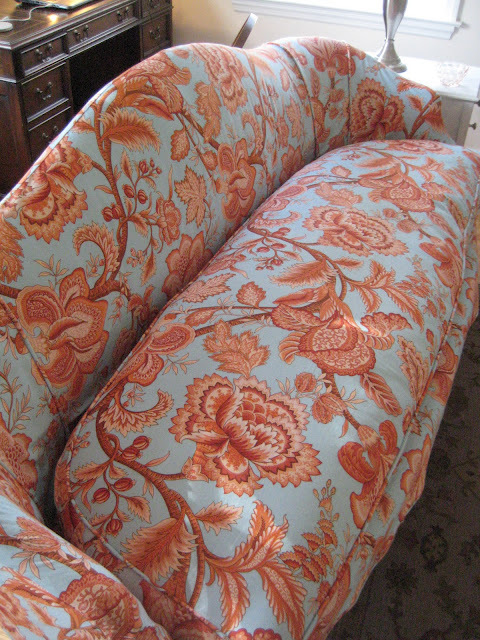 Rachel's gorgeous recovered sofa. The beginning of the end? How I enjoyed Eugenia's (Fabulous) World of Fashion. It's true that once I'd seen a few dozen of Eugenia's perfectly fitting, beautifully crafted shift dresses, my mind began to wander, but I do wonder what she's up to -- perhaps gardening. Repeat after me: We miss you, Eugenia! Many of you remember Brian of Brian Sews. What you may not know is that Brian was my very first sewing friend. 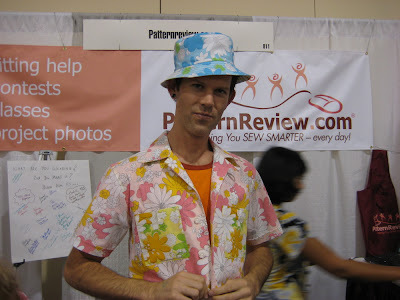 I reached out to him (via Pattern Review) shortly after I bought my first sewing machine, and that summer he generously coached me in the basics, entirely via webcam and email. 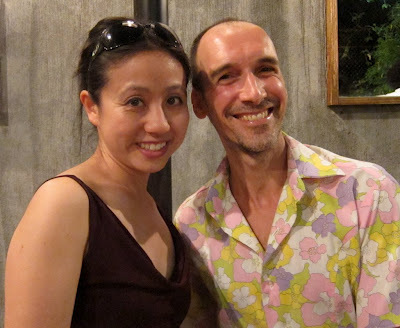 Brian introduced me to vintage Necchi's, Margaret Islander videos, and sewing with old bed linens. He did pop up a few months ago, but disappeared again just as quickly. Let us ask, as one: Where the heck are you, Brian? And then there's Elaine, aka The Selfish Seamstress. One wouldn't expect an explanation from Elaine and we won't get one. Still, when I think back on that romantic evening we shared here in Chelsea just two years ago, I can't help but wonder what might have been. Missing many a month now, Elaine is no doubt successfully knocking off designer duds in some fairytale European city with very clean streets. Let us close our eyes for a moment and visualize Elaine; perhaps we can manifest her. Readers, on a completely different note: do you have plans for tonight? If not, I want to recommend a wonderful film noir Lucille Ball made in her pre I Love Lucy days, directed by none other than Douglas Sirk of Magnificent Obsession fame. It's entitled Lured (1947) and can currently be streamed in its entirely on You Tube (see below). Lucy is wonderful in it, and while it's a thriller, there's a great deal of humor in it too. The marvelous cast includes George Sanders, Charles Coburn, and the inimitable Boris Karloff. I watched it last night and I know you'll enjoy it as much as I did. Just click below and supersize the screen. Don't forget the popcorn! In closing, readers, do you ever wonder about the many lost bloggers of the sewing world -- either those mentioned above or others? Do you envy their ability to just get on with life -- or, perish the thought, its opposite -- with nary a thought to those who followed them for so long? I love reading the selfish seamstress. I was wondering where she was as well! Maybe she will find some time and get back in the blogosphere! She got me hooked on polka dots! Thanks for this post! I wonder all the time where some of my favourite bloggers have gone. One that disappeared a long time ago was Susannah from Cargo Cult Craft. Similar to you and Rachel, Susannah and I started blogging around the same time. 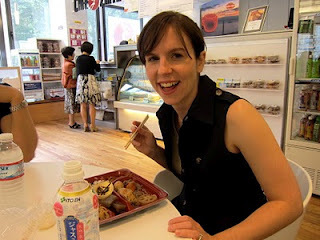 I really enjoyed following her blog....come back Susannah, Eugenia, Rachel, Elaine and Brian! We miss you!! Yes, I miss these and a few others as well. I hope they are all still sewing. Great post! Not only do I wonder about where some of these great sewist are, but I notice several are turning to more of "What I Wore Today" looks. Seems to be the trending thing right now. Which is fine, because Lawd knows I can use some inspiration. But, why are they not sewing as much. Is it a season of being burned out from sewing? Just wondering? YES!!! I've noticed this too. whaat really bugs me is the folks who say "i'm going to sew through this vintage sewing book" and have fabulous detailed posts on a few chapters and then disappear. makes me tear my hair out. OMG - I read all of these blogs! It is sad when bloggers go away - especially when they say nothing about the end. But it's their prerogative, after all. oops. Forgot to say that I'll be doing it while watching Project Runway. It's about the only way I manage to watch the drama fest... so I can poke fun at the runway show! Have you ever seen more bawling and whining before?? Not to mention the two that dropped out!! 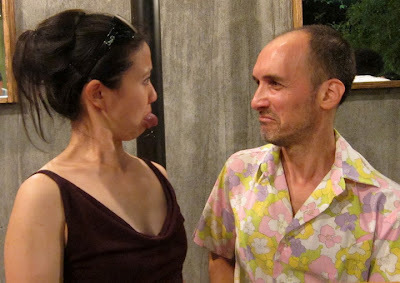 I too miss Selfish and Eugenia. I still check Selfish's blog once it a while because it was that delicious and she had a past history of going AWOL. True to form, she's being selfish by not blogging!! I was just wondering about Selfish yesterday, and went so far as to double check my feed address. I will be watching this tonight while I prep my fall sewing patterns! Hear hear to Cargo Cult Craft. I miss reading that blog, and the Selfish Seamstress too. Sad times. Sometimes I wonder if these bloggers quit sewing when they realize their closets are stuffed! For awhile, I followed a blogger who tirelessly created a new dress every week and would conclude her post by saying whether she'd wear it again. Usually, the answer was yes. Really? who needs > 50 dresses? What a great post and tribute to some talented folks. Eugenia's posts on inserting invisible zippers last year helped me beyond words. I hope where ever these bloggers are, life is treating them well and they are busy having fun. I too feel so much sadness over their non-blogginess. Oh I LOVE Rachel! I loved hearing what she had to say about anything and everything. Rachel where are you???? I miss Brian too and Eugenia. And if Elaine would stop teasing us with coming back or not - I might miss her more (I'm terribly upset with her waffling). Where did they all go? It's almost too much to bear! I miss Kasizzle--she sewed a lot of shirts that I would then sew after her using her tips. I also wonder what happened to Eugenia. Brian and Selfish pop up occasionally. I really appreciate when bloggers announce that they have stopped blogging. Am also glad you didn't announce that you were going to stop blogging as I initially misread!! Oh I was sure from the picture that you had found Selfish! Boo. I miss reading her blog. I wonder if a lot of people post like crazy and then burn out? If that's the case, I would say to them that when someone is in my blog reader, I honestly don't mind if they post once a day or once every two months. No pressure Selfish - please come back! Great post. I am "guilty" of disappearing. In my case I had a huge nervous breakdown. But, sewers and sewing are what makes life worthwhile, in the main. And some excellent friends. I adore sewing, and stash, and so on. Maybe there were life crises, and people were burnt out, not by sewing, but in general. Sewing saves us!!!!!!!!! Also my partner, he gets credit, and he is a big sewing support.... Cathie, in Quebec. Okay, I was reading this post and suddenly Petruchio's song "Where Is the Life That Late I Led?" from Kiss Me Kate popped into my head -- "Where is Venetia, who loved to chat so? What I can't understand is how they can stop blogging without writing a post about stopping. I am so hyper-responsible that I would get hives over leaving a task undone. If I were on a ventilator, I would be scratching out the password to my account and dictating a post for my husband to make. I think many of us got really, really excited at that first picture of Selfish, only to be bitterly disappointed that you hadn't actually found her! She's the only one I recognize from that list, but she's also the very first sewing blog I ever read. I miss Elaine 'Selfish's voice. But I also know she will rise to the surface once again to lord it over us. Oh Peter I am glad you have mentioned this. I have some favourite bloggers - some with many, many followers (like Elaine) and some who were/are local. I often wonder why they don't blog anymore and my mind drifts to the more tragic unfortunately. I would love to just know they were healthy and well and put my mind at ease. So much can befall a human... we all drive, get sick, have families and responsibilities. I just hope they are all alive! There I said it! Agreed, I always wonder if something is wrong. Hope not, especially in Elaine's case as she is so funny, but right on in her comments. Change is inevitable. I'm happy they have moved on to something more fulfilling and private. 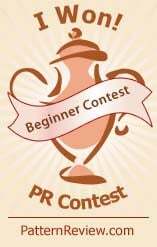 There are enough tutorials and active bloggers now that nobody is really left wanting. I don't think any blogger owes anyone a "goodbye" message. Blog followers are curious readers, not close personal friends (even though some bloggers do try to create that ethos with their posts but c'mon let's be real, if you have lots of followers they are all not your loves, sweethearts, darlings, besties and the worst bs I've read "e-aunties" to your babies!). I'm sure the close relationships some bloggers share with some readers may still continue in private. Contrary to our current culture, privacy can still be a beautiful thing. Great post Peter and if you ever went AWOL I would feel like a little sewing light had gone out in my life. It's true you get quite attached to people and their ideas and worry about them when they're gone so yes, I would always appreciate a wave goodbye. There are several bloggers I miss. I remember Brian and use to read his blog before MPB (sorry). I know people/bloggers move on, have full lives outside of blogging, may stop sewing, etc. and really don't owe an explanation to anyone. Nonetheless, I find myself chuckling and thinking, "You get me so attached and then you just disappear into the sunset...or rather the dark side of the fabric store - cartoon printed fleece." Just joking, I actually own some yardage of said cartoon printed fleece. Seconded! Seconded! I actually only just seconded a "we miss you terribly" comment on one of my favorite lost blogs (Idle Fancy). I still pathetically check Rachel's site just to make sure I haven't missed a post. Plus, Selfish was one of my gateway blogs and totally landed me with my over-stuffed reader. Thanks for this, by the way. I thought I was the only one! I will sometimes still check "lost blogs." Then there's that little voice in my heading, "They're just not that into you." Lol exactly! Its a bit like celebrity. Just because you think [insert favorite actor/actress] is the bees knees doesn't mean that he or she knows or cares to communicate with you, though I'm sure they appreciate all their fans patronage and support. I don't think it's rude at all to not say goodbye. They didn't say "hello" to you (personal) either! I know quite a few bloggers that have stopped blogging for the same reasons some celebrities hide their identities when they go out in public. People get a distorted sense of both ownership and kinship with essentially perfect strangers. It's like having 10,000 friends on Facebook, but really there are only 10 people you actually call and care about. So no, it's not rude if they don't say goodbye. It's reality. Intellectually, I totally know that's true, but intuitively I'm Veruca Salt and am completely shocked that the universe won't bend to my whims. Sigh, sigh, sigh. I used to read a lot of these blogs! I miss the Selfish Seamstress the most. She was my gateway to the world of sewing blogs, and also started my (somewhat unhealthy) obsession with Burda and other sewing magazines. I miss her snark and her style. I bet she will show up again though - probably will start posting regularly sometime when I am super busy because that would be, well, selfish. On the other hand, I don't feel angry or upset that people have stopped posting, because I can understand how life changes get in the way of things. I expect I might be dealing with that soon enough myself, though I would probably try to let my readers know what was going on. We certainly don't have the right to know the reasons why a blogger chooses to go missing but it certainly shows a dramatic lack of manners and the feelings for others at least to give us a heads up that they will stop blogging. I love this comment. I think blog winding-up should now be something lawyers add to wills. The internet has brought us many changes! Who will inherit all those blogs out there? Mr Mole would certainly do that for me and my readers if I passed on. Then he would sell all my machines and call the brides to pick up their dresses. Abandoned blogs are the saddest part of chronological feeds; when it's clear that there really are tumbleweeds passing by, I move them to a separate list headed "Bloghalla," but I still check those addresses now and again to see if a miracle has happened. On the other hand, I stopped blogging myself for more than a year, for a variety of personal reasons. When those passed, I delayed still longer, out of fear that either no one would notice I was back or that there would be an outpouring of anger and frustration (there weren't; just the opposite, thank goodness). So if any of these phantoms do reappear - be kind! This is a really thought-provoking post (and thanks for the Friday night movie suggestion!). I think this is why my blog is not purely sewing - sometimes I feel like talking about other things! I don't mind whether people read my blog or not, but writing it makes me happy and takes my mind off more serious things. All I hope is that nothing bad has befallen these bloggers! Plus, this way you don't have to apologize to your readers for not doing any sewing - whether it's because you're too busy to sew or just not inspired. I have only read Selfish, and yes I do miss her! But I am missing several lovely crafty blogs these days - usually when they start posting erratically, stop, then come back you know it's really the end. But I can see how stopping blogging can happen by accident - you get busy, you aren't sewing so much anymore so you think you don't have anything to blog about, you get out of the habit, and then you've kind of moved on and aren't so interested anymore. You don't leave a goodbye because you don't really know if you have stopped, you just haven't blogged in awhile that's all. And then I guess it just gets too hard to start up again, too odd, too much effort. I actually suspect it will happen to most bloggers in some way or other, it seems like a natural trajectory online. Brian has posted a couple of times recently. I stopped blogging, put a post up to say I wasn't going to be around, and received more comments than any other post! I needed a break - but now I'm back and easing myself in gently! 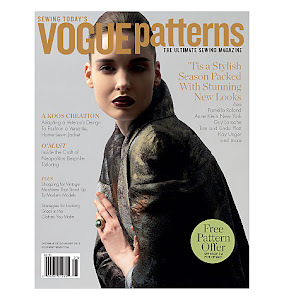 I too worry what's happened to those who disappear with no trace - Wasnt selfish writing for vogue patterns at one stage, how can she just disappear? Perhaps the falling piano scenario came true? I'm one of many who left a comment on Eugenia's blog saying "I hope you're OK". Eugenia, are you reading this? I really truly hope you're OK, and it would be lovely if you did a final post, no picture required, saying "I'm fine, just not blogging". I was just thinking about Summerset of Pins and Needles, and hoping she and her family are ok. I really miss her posts and style. As for blogging--I really appreciate all of you (especially YOU Peter) taking the time to write, photograph and share your mad skillz. Without Cathy Lane, and dare I say it, Laura Mae, I'd cease to exist. I had (have?) a blog, not updated for almost a year now. Why? I've found out that for me, writing is HARD and timeconsuming! Or should I say writing so I don't sound like a rambling raving lunatic is hard. Also my sewing output doesn't even rise to the level of pathetic. Maybe I should just blog about all the stuff I buy and stuff in the closet :) . But the lapse is not intentional, I've never made a decision to abandon it, I just haven't made it a priority to update. I mean how many posts of "no sewing, no knitting, no decluttering, no weight lost. Again." can the world use, even though I only started it with intent of tracking my sewing progress. I had no illusions of gathering any followers. I totally understand the dropping blogging, and really do appreciate the posts that say "bye for now". One thing I haven't seen mentioned is bloggers who stop blogging and remove or make private all content, including some wonderful tutorials. I only really read Elaine's blog, but she was such a hoot to read. She is very likely busy, though. That happens. I have been blogging for about 5 years and my blog has followed a life course of it's own. Started out as a way to keep the Fam updated on our little urchins. Then I got into photography, posted tutorials on that and hosted a weekly themed posting. That died when I just couldn't handle the time to do it anymore and my blog followers has dwindled back to a few good blogging buddies and my family who occasionally check it. Sometimes I post a lot and sometimes weeks can go by with nary a word spoken or photo posted. Now it is updates on the urchins and as much sewing as I can handle (tutorials on that, too). Luckily with a boy, girl and me...I never run out of things to sew! Anyways, that is all to say that after awhile, you either evolve or stop. Blogging can be very, very time consuming to put up content all the time. When you have a lot of followers you feel like you "let them down" if you miss a day or a tutorial. If you have a full time job it can be hard to find the time without sacrificing family time. Whenever I see a blog go extinct, I give them a silent applause. They knew when it was enough, and they stepped back. And that's okay. I miss these blogs and others. Barrientos was among the first I read, and his blog roll led me to MPB. Even when they do put up a “taking a break” message, I miss them. Selfish is probably busy brainwashing her students to join her secret plot to take over the world. An explanation of her absence would not be expected. I just hope they’re all doing well and feeling fine. Thanks for the movie. I’ll watch it while working on The Great 1990’s Jacket Reconstruction Project. I really, really miss Eugenia and often worry that something awful has happened to her. I still have her site bookmarked and I check it almost ever day. Where are you, Eugenia? Great post! Yes, it's sad when a blogger stops posting. You feel a little as if you've lost a friend. But, I'm sure they have their reasons and I'm not one to judge too harshly. Blogging isn't for everyone, after all. I have been thinking about this now for most of the summer! I see a huge trend in bloggers just leaving with no goodbye :( I think most are burned out, and some have gotten burned. I was just talking to my daughter the other day, and she is friends with a really famous blogger in New York. They both feel like they have been taken advantage of through their blogs and wonder where to go from there. My daughter hasn't posted in over a month now, but she did come back and to say hi and why she was gone. I also know that some of my favorite blogs, not necessarily sewing blogs, first abandoned the blog format for twitter of all things, and now Instagram. I'm too wordy and nosey of a person to embrace these formats fully. Interesting post, Peter. It would be great if those bloggers could just say 'bye'. Though you never met them you feel like you know them through the blog and it's sad to see them vanish. What's even sadder is those less known bloggers who don't manage to have a big audience (like me) and eventually give up. 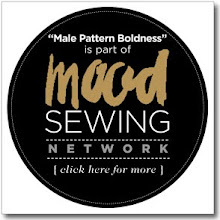 I totally agree that blogging and blogging about sewing is extremely time consuming. Brian@BrianSews! was the first sewing blog I ever read. I started at the beginning and read all his postings. When I finished - I wanted more. You being a more prolific writer took me much longer to start at the beginning and travel to present day. I enjoyed the journey. Brian mentioned on his blog two years ago that he'd be doing a video series on machine feet. I've been waiting for his felling foot video ever since. I feel like I should probably move on, but I'm sure he's going to do one. Any day now. Like all of us, I miss the Selfish Seamstress terribly. One little gem I particularly miss was called "The Messy Method." She really only blogged for a few months, but she was absolutely hilarious (as are her numerous PR reviews). And then, one day, silence. /sigh. I do miss several you mentioned. Maybe they will be back among us again. I'm currently looking for inspiration for an outfit for my friend's film noir-themed 30th in December - posting that film must be fate! And Elaine's Coffee Date Dress pattern is one of my favourites. It's sad that she's gone, but at least we still have that great pattern. Check images for Ella Raines, Ann Savage, and from the film, "Blues in the Night", Betty Fields as Kay Grant (pitch perfect noir trouble bate). Thank you for the recommendations! I'll add a few images to my inspiration folder. I must confess that I'm one of those 6 month bloggers! My crime was letting my job and negative people "steal the joy" from my life, to the point of losing my creativity. But I'm in full control now and I've got my "sewjo" back!! There's no stopping me now!!!! Finding out what (and who) is important in one's life is key (and there is some variability with these findings, as we, and others, do change). Glad you're back in the sewing saddle Scorpionblue! Thanks Test! I was floundering for almost a year and after talking to the owner of a small store I sell my things at on a consignment basis, my problems were "small potatoes" compared to his! He resigned himself to be happy in the face of bankruptcy and told me to rise above it all and sail!! Oh I so agree some blogs are like old friends, you expect them to be there, then suddenly there gone. But on a plus side you soon discover another exciting blog to follow. This has happened to me a couple of times. I always assume the worst but more often then not the blogger got a book deal so couldn't blog all of their good ideas anymore.I just got an idea. PETER WRITE A BOOK! I also miss Summerset of Pins and Needles. I'm with you on Summerset. Yes, people move on, and they don't owe us an explanation. Even when you're readership is huge, you may not think of your blog as important to others. Sometimes it isn't an actual "decision" to stop, as much as it is simply not feeling inspired or making the time for it. I've been worried about Eugenia - it seems so strange that she would just disappear! Blogging is something that takes up a lot of time, and I understand when someone can't make it work anymore. My blog has evolved over the 7 years I've written, from knitting to quilting, to sewing and all sorts of things. I think if I'd tried to make it hyper-focused or to post on a schedule I would have burned out by now. As it is, I'm content to keep it and to post about whatever I'm into at the moment - I can't imagine how hard it is to post daily! I have never followed blogs religiously. I love this blog because it is different. 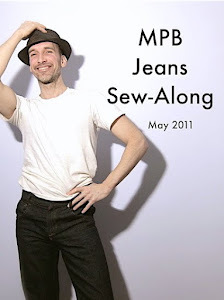 I loved the You Tube videos of Brian Sews too. I am more of a person interested in crafts. I prefer to make things that I can use rather than wear. I think there is only so much of anything you can sew and wear. 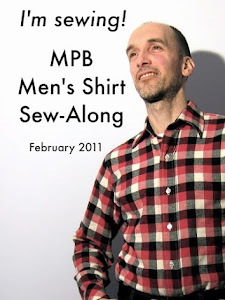 I think there are great blogs out there for up-cycling, re-cycling, re-structing that many people find different ideas rather than just sewing from patterns. I spend some of my time on You Tube learning new and different crafts and techniques. Maybe bloggers get bored or just find new and interesting things to do with their lives, or maybe it wasn't worth it for them if they only got a few responses. Who knows? I am not a blogger. I have thought of starting a blog and have not because writing is not one of my joys at all. That being said, I have great respect for the sewers that blog and have benefited greatly from them. I have made the observation that sewing bloggers will often apologize for taking breaks from blogging. It seems like there is some sense of guilt for not blogging. 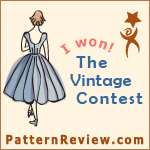 I would just like to say thank-you to all the sewing bloggers. Post when and if you can. I enjoy what you have to say and the pictures that you share. But please do not guilty for not posting. We all have busy lives and there are so many things to feel guilty about... to blog or not to blog should not be one of them. So take a year off. Stop blogging. Take down your blog. The choice is yours. You owe me absolutely nothing. I remain indebted to you for your generosity in sharing and for inspiring me to return to fashion sewing after a 10 year break. I would suggest that we not worry about bloggers that are on a break unless told differently and simply say. They are busy living productive, and happy lives. I can´t stand and understand bloggers who disappear without a word. That´s like using a fan crowd for a while and then throw them away. I think it would be good style to say good bye and make a note at the top of the blog´s homepage that the blog is not active anymore. 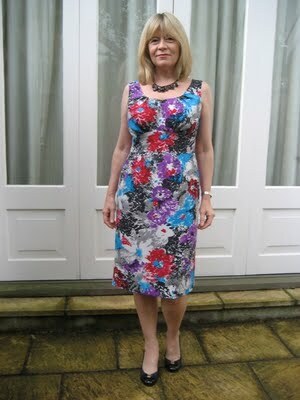 But from the slightly arrogant tone and behaviour of the Selfish Seamstress I expected nothing but bad style anyway.